Pamela and Douglas Soltis will share the keynote podium at the Florida Wildflower Symposium, Gainesville. 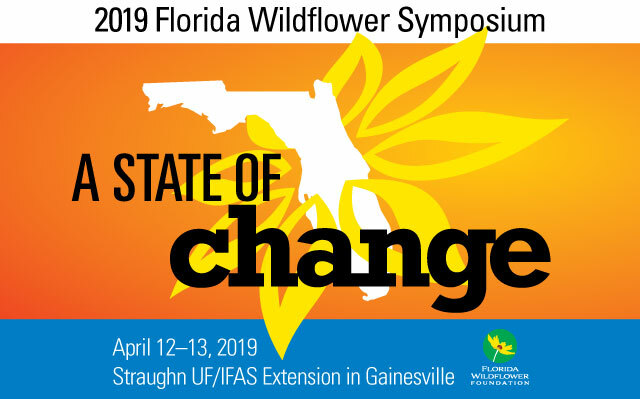 How Sunshine State flora will fare as the climate changes will be the topic of keynote speakers Dr. Pamela Soltis and Dr. Doug Soltis when the Florida Wildflower Symposium convenes on April 12 in Gainesville. “We’ll provide some background, especially on the role that natural history collections play,” says Dr. Pamela Soltis, distinguished professor and curator in the Florida Museum of Natural History, and director of the Biodiversity Institute at the University of Florida. Data collected from herbaria throughout the state and beyond, field collections, plant DNA and computer analysis have enabled the husband-and-wife research team and collaborators to create models projecting “how plants are going to respond to climate change, and to define areas we may want to protect,” says Dr. Doug Soltis, distinguished professor in UF’s Florida Museum of Natural History and biology department. Because every herbarium specimen includes a name and collection date and location, the Soltises can determine the climatic conditions that existed when a particular specimen was collected. Then they can build a model predicting where those conditions will prevail in 30 to 50 years. Climate change will produce winners and losers, the researchers say. Some species of trees, shrubs, wildflowers, ferns and other organisms will face extinction as their habitats shrink because of the projected hotter, drier environment, as well as sea level rise. One example is South Florida’s flatspike sedge (Abildgaardia ovata). Yet the scrub plum (Prunus geniculata) is likely to thrive as the climate changes. Common along the sandy Lake Wales Ridge in Central Florida, “it’s better adapted to the hotter, drier climate which is projected to be more common in the future for Florida,” he says. It is likely to expand its range, spreading into dry areas across the state. A possible worst-case scenario would involve a mismatch between wildflowers and the insects that pollinate them, says Pamela Soltis. “If the plants respond to climate change by flowering earlier but their pollinators don’t make the shift at the same time,” she says, “there may not be any butterflies or bees to carry pollen and cause reproduction. People who study insects and people who study plants are very worried because that could have serious consequences for those species” of insects and plants – including extinction. The good news is that, based on data collection and climate models, it may be possible to preserve some species, Pamela Soltis says. Options for protecting species threatened by climate change include planting them now in areas that will better suit them as climate change progresses, and cultivating them in controlled settings such as botanical gardens. For more information on the Florida Wildflower Symposium, visit www.FlaWildflowers.org/symposium. Loraine O’Connell is a freelance writer who lives in Central Florida.